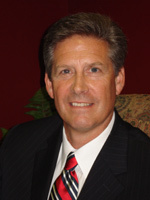 President of Financial Planning Strategies, Inc.
Bruce entered the financial services profession in 1981 as an Investment Counselor with a middle Georgia savings and loan association. In 1988, Bruce formed FINANCIAL PLANNING STRATEGIES, INC.,and affiliated with Lincoln Financial Advisors, a broker-dealer and registered investment advisor. He became a CERTIFIED FINANCIAL PLANNER™ certificant in 1987 from the College for Financial Planning and is in good standing with the Board of Standards & Practices for Certified Financial Planners (IBCFP). In addition, he earned the Certified Estate Planner (CEP) designation in 1988. Bruce added the Registered Financial Consultant (RFC) designation to his credentials in 2004. He is a member of the National Institute of Certified Estate Planners (NICEP). Bruce has been married to Leanne for 28 years. They have two lovely daughters, Lydia and Leslie. He enjoys being at home with his family, reading, exercising, and attends Treasuring Christ Church in Athens. *The University of Georgia Alumni Society Scholar-Athlete Award was presented annually to a graduating senior who demonstrated excellence in the classroom and on the field. Bruce earned this prestigious award based on his attaining the highest cumulative grade point average of 3.58 over 4 years of which his last 3 years Bruce was awarded the Georgia "G" as the starting shortstop and baseball letterman. 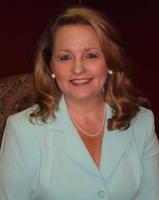 Leanne W. Farman is a graduate of the University of Georgia's prestigious Terry College of Business with a BBA in Marketing. She serves as a Para-Planner, Marketing Director and the Office Administrator of FINANCIAL PLANNING STRATEGIES, INC. Leanne is a NASD Series 6 registered representative with Lincoln Financial Advisors, a broker-dealer. Leanne's interests include teaching, writing Bible studies,and speaking to women's groups. She also enjoys gardening, antiquing, scrapbooking, pageant and etiquitte coaching, decorating, and attending Treasuring Christ Church in Athens.